The second of the Ocean series of developments in Sunny Isles Beach, Ocean Two provides owners and visitors with an incredible experience in the heart of paradise. 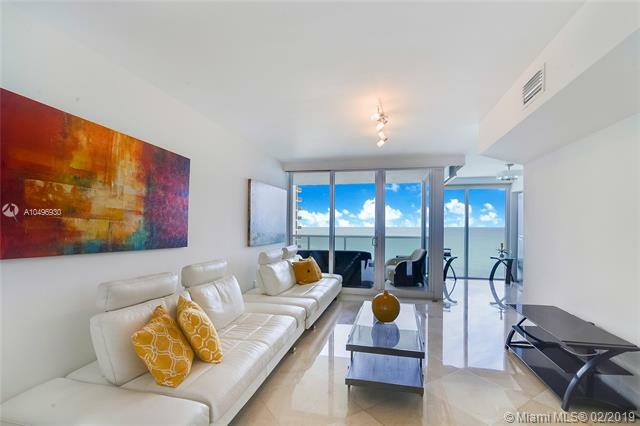 Ocean Two offers owners immediate proximity to area hotspots, such as Fort Lauderdale, South Beach, Miami, Bal Harbour, the Miami International Airport, the Fort Lauderdale International Airport and much more. However, while maintaining immediate access to these areas, Ocean Two is a world away from the hustle and bustle of the area. Featuring two soaring towers, Ocean Two provides several world-class amenities on property, and within each residence, as well. Valet parking is available as soon as you drive onto the property, while the secure entrance gate is manned 24 hours per day. Also on property, owners will find access to an incredibly long list of amenities. The site itself encompasses more than 5 full acres of tropical splendor, and the entire site is landscaped and designed with the relaxation and enjoyment of owners in mind. Also on property, owners will find lighted tennis courts for sports enjoyment, a tot lot for the kids, and several media and multipurpose rooms that can fit any need for a meeting or a get-together. The porte-cochere is an elegant starting point for owners entering the property, while the covered parking onsite offers comfort and security at all times. Of course, the more than 500 feet of white, sandy beach dotted with private cabanas is one of the most popular amenities here. However, owners will also enjoy the beachfront swimming pool and spa area. For additional relaxation and enjoyment, owners can head to the 5,000 square foot health spa and fitness center, where they will find steam rooms, a sauna and some of the most advanced fitness equipment in the world. Accessing the residences is done via private, high-speed elevators that whisk owners to an entry gallery. Solid, double wooden entry doors part to reveal the elegant residences. Owners will enjoy the formal dining area, as well as the sunrise/sunset balconies with each residence. All ceilings are more than 8 feet tall, ensuring a light, airy feel throughout. All kitchens also feature European style cabinets, 36-inch refrigerators, granite countertops, a dishwasher, a glass stove top and an eat-in breakfast area. The luxury continues with the bathrooms, which feature high-end designer fixtures, full marble showers, whirlpool tubs, marble flooring throughout the wet areas and a European style bidet.